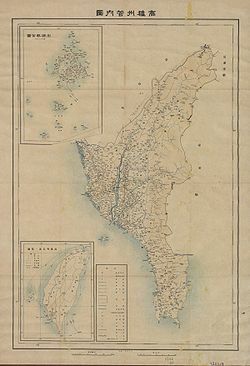 Takao Prefecture (高雄州, Takao-shū) was one of the administrative divisions of Taiwan during the Japanese rule. 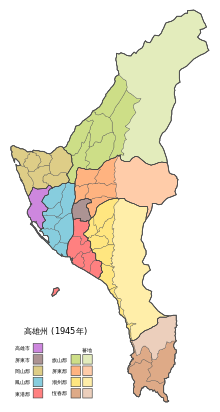 The prefecture consisted of modern-day Kaohsiung City and Pingtung County. Administrative divisions of Takao Prefecture (1945). In 1945 (Shōwa 20), there were 2 cities and 7 districts. The districts were divided into towns (街) and villages (庄).